There is more money going into business now than ever before. Yet employee morale is way down and business leaders can’t retain good help. Too many companies are bowing to the almighty dollar and ignoring the contributions their employees make on a daily basis. If you hold an executive leadership role within your company, it’s your responsibility to foster a positive working environment. An environment that rewards hard work and loyalty without sacrificing employee well-being. You expect your staff to work hard and deliver results, and they expect you to pay them what they’re worth. 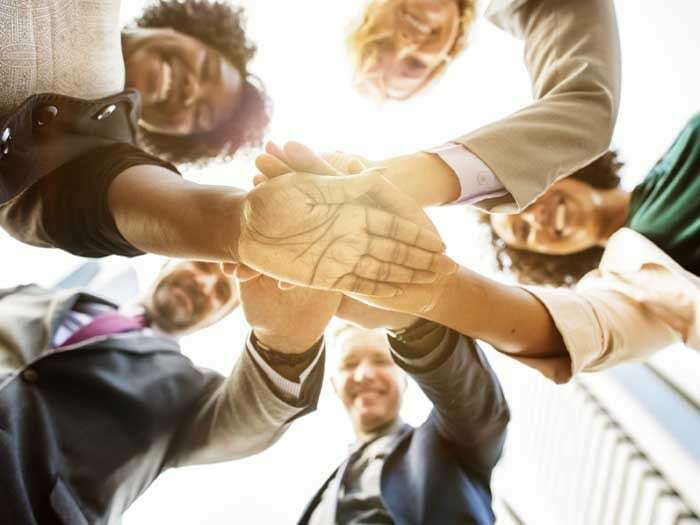 When you don’t, they feel undervalued and disrespected – particularly if the company is doing well – which is a recipe for low-employee satisfaction and high turnover. Pay your employees fairly for doing their jobs and reward exemplary work with bonuses. Also, don’t forget to acknowledge company milestones. Your employees are your second family. They take a lot of time out of their life to help you grow your business, which is why it’s imperative that you acknowledge their work anniversaries and birthdays. While not everybody loves the attention that comes with a birthday cake in the conference room, most people will appreciate the recognition. Companies provide vacation time because it’s necessary for employee well-being and productivity. Unfortunately, few workers ever take their allotted vacation time because they’re afraid to leave the office. They don’t trust that someone else will pick up the slack while they’re away and fear being blamed if the work doesn’t get done. Developing strong executive leadership presence means setting positive examples for your staff. If you take your vacation time, they will feel safe to do the same. So, get out of the office and have some fun. Let go of the reigns and trust that work won’t come to a halt just because you take time away. You may think your staff is being productive by working through their lunch breaks, but the opposite is true. People need to step away from their desks, phones, and computers periodically throughout the day. Simply taking a walk around the block floods the brain with fresh oxygen and makes it much easier to focus during the rest of the workday. You can also limit office hours. Force your employees to go home when they’re supposed to and don’t reward working late or coming in on the weekends. Once or twice a year, host an event that brings everyone in the company together. Come up with a handful of charities that your employees are fond of and vote on which ones to support each year. By doing this, you’ll get people more involved in the process and more likely to take ownership of the event, ensuring its success. Remember, it’s far more difficult to find and train new people than it is to make your existing employees feel empowered, respected and valued. If you’d like help on developing your executive leadership skills so that you can make a long-lasting impact on your company, let’s talk. Working with Dawn was absolutely exhilarating. She had the ability to connect with me on a personal and professional level. Once you work with her, you will have the tools and guidance to make the right choices for your style consistently. What I learned from Dawn will last the test of time. I’ve received several compliments since consulting with Dawn, from my color choices to style of dress. I highly recommend Dawn Stebbing and truly appreciate how she has combined so many of her strengths and years of experience into helping her clients. She totally knows about our exterior image and I so trust her assessment of my eye & hair color, eyeglass style and complimentary clothing attire. Dawn gives you 100% highly dedicated services that will help you understand yourself and your best image for business and personal branding. We had the honor of having Dawn speak at our MainStreet Chamber event. It was an engaging, fun and enlightening presentation. Our members were raving about the ideas Dawn had to help them gain that professional edge by changing a few simple things in our posture and the way we dress. We all felt like a million bucks when we left the room. I’ve referred Dawn to other groups since then as I believe in her message and her style. Image matters. It’s what drives my interior design clients to change their homes. It’s also what impelled me to work with Dawn. Improving my brand image was a way to quickly raise my clients’ confidence in my ability to guide them to success. Since working with Dawn I have received many compliments on my appearance from my style of clothing to the colors I wear. 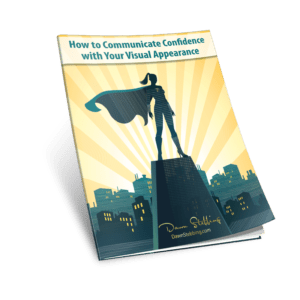 Dawn’s help has given me the personal power to appear strong and confident.